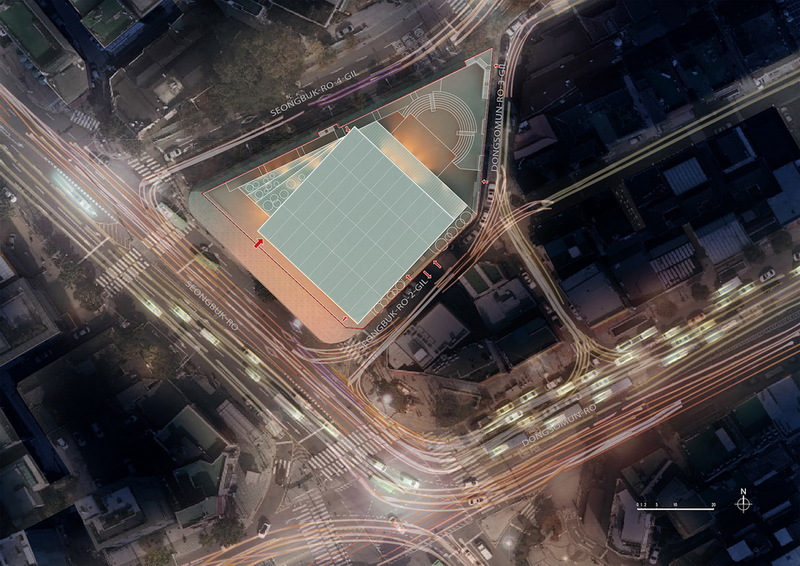 This is a proposal for a theater reserved for young talents in the town known for its concentrated theaters in Seoul city. 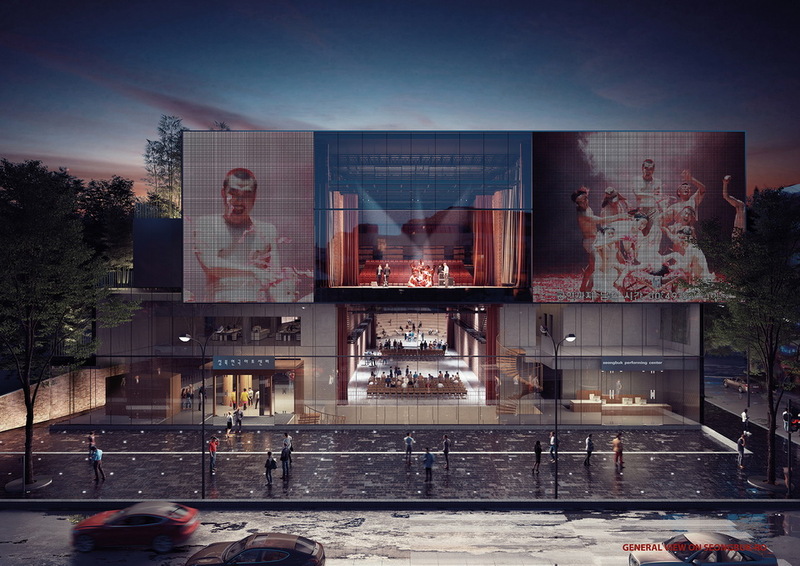 The project emphasizes a reflection on the expansion of indoor theater at the urban scale. 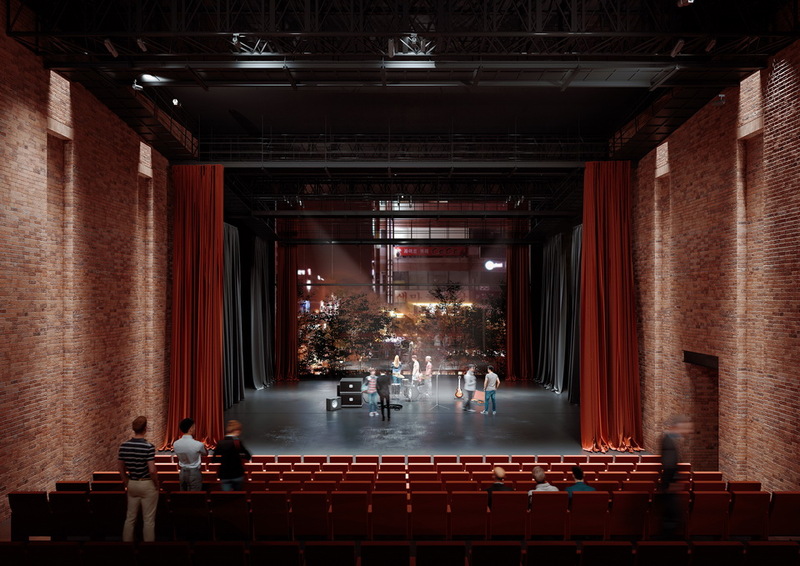 The main theater scene is visible from the city during the rehearsals and broadcasted by two giant screens during performances. 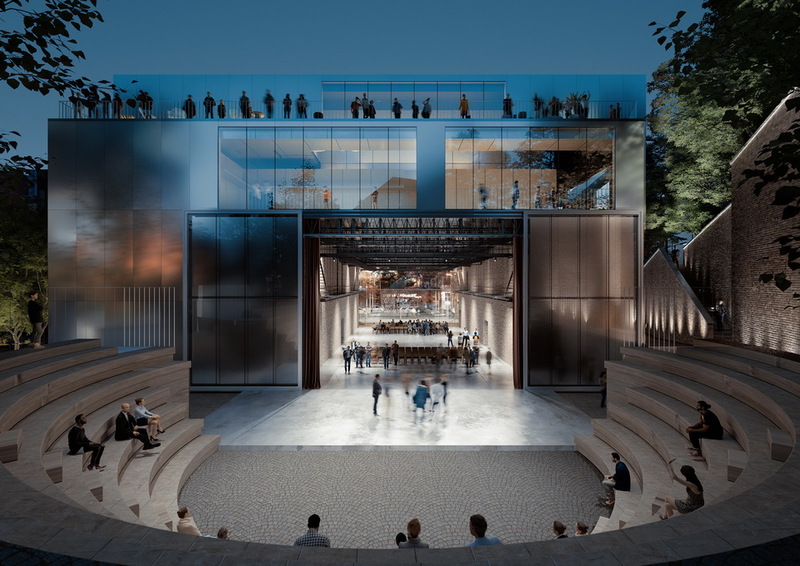 In addition, with the modular plans of the lower sub theaters in conjunction with an outdoor amphitheater back, the theater participates in creating a vital link both architectural and urban.